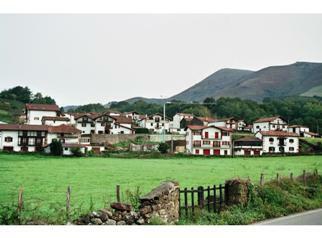 In the Baztan Valley of Spanish Pyrenean Navarra, in particular around the small village of Bozate between Elizondo and Erratzu, still live descendents of a little-known and much-maligned race known as the agotes in Spanish. 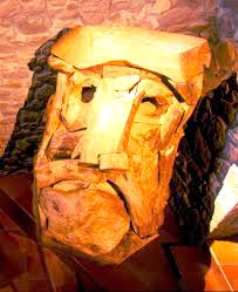 The word itself is most likely a corruption of cagot, the word used to describe the same people in south-west France, particularly in the French Basque Pyrenees and, slightly further east, the region of Béarn. One theory regarding the origin of the agotes, albeit by no means the only one, is that from around the 14th century, groups of people considered delinquents who allegedly suffered from leprosy, tried to escape persecution in France by crossing the Pyrenees over to the Spanish side, mainly Navarra and Aragon, eventually settling in the poorest areas of certain towns and villages as outcasts and whose descendants remain to this day, especially in and around Bozate. Another theory that has gained some support is that the agotes were descendants of Moorish soldiers remaining after the 8th century invasion by the Moors of Spain and France. Whatever their origins, the fact of the matter is that the agotes would be socially marginalised by other members of society until relatively recent times, well into the 20th century, being blamed for all manners of bad harvests and natural disasters. Apart from being lepers, they were also accused of being cunning, responsible for casting spells over those that crossed them and even having bad breath! To be identified, they would be compelled to display a red-coloured sign on their backs in the form of a cat’s paw, and would have to ring a small bell to announce their presence. 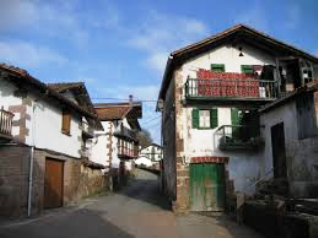 Fortunately, a law was passed in 1817 banning any form of discrimination in the Baztan valley villages of Bozate, Erratzu, Arizkun and elsewhere against the agotes, although old prejudices would take a long time to start to die out. In church, they would have to sit at the back on the left, beneath the choir, and have to enter and exit through a special door. They even had their own font as they were not allowed to pass to the one at the front of the church. Neither could they live beside other residents in Baztan villages, instead dwelling in poor, outlying districts, nor display coats of arms on the façades of their houses – the latter being such a typical feature of all the villages in the Baztan area. In contrast to the negative stigma surrounding the agotes as described previously, they have also traditionally been considered by many to be hard-working and skilful craftsmen and carpenters, and also fine poets and musicians. The Santxotena sculpture park and workshop just outside the village of Bozate is also well worth a visit and apart from the fine sculptures themselves by local artist Xabier Santxotena, is something of an ethnographic museum devoted to the life of the agotes who have traditionally lived in the area http://www.santxotena.org/museos. The film Baztan, by the Navarrese director Iñaki Elizalde and starring Unax Ugalde and Carmelo Gómez, http://www.labutaca.net/peliculas/baztan/, tells the story of some sinister events that allegedly took place in the early 17th century in the agote community of this part of Baztan, and was also filmed in the area.